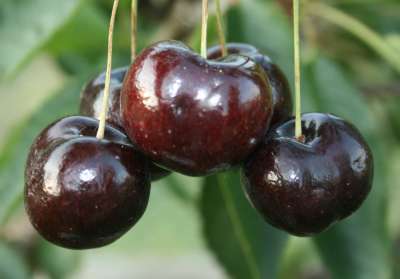 A medium to large rounded cherry with a sumptuos deep black colour and outstanding rich, sweet flavour. Raised in the West Midlands, this forms a vigorous upright, then spreading tree. Pollinate with Stella, Van etc.